Like many women out there, I love shopping. I dono if I am a born shopaholic. I should ask my mom about that. But I know I grew up to be one. Esp when it comes to window shopping, I won’t get tired to walk around and surf more shops and try out different dresses n check for varieties before I finally settle for one perfect outfit. At the end.. Phew.. what a day!! Fashion n shopping always goes together. And when it comes to style, people’s taste differs. Some like it rich. Some like it chic. Some goes with tradition while others like fusion. But searching our dresses n accessories in so many stores with so many offers, it will take loads of time before we find out our right ensemble. But when online shopping started to trend, I prefer to do most of the shopping from the luxury of my home, fearing of the hot sun smiling at me wickedly. I have already mentioned in my previous posts how much I enjoy it. Still at times I find it difficult to surf for products in more than one site. So I simply stick to one site to do my shopping and at the end, I look at my friend’s collection who bought from some other online store and then I regret I should have checked that site too... Sigh! I was really wishing for an online mall where we go, surf and pick our desired attire ~ all under one roof. That’s when Roposo invited me to visit their site. 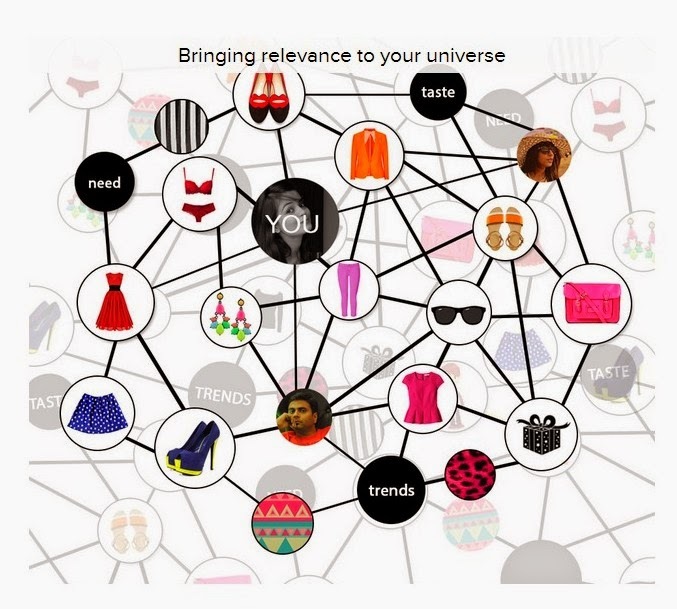 Claiming to be the best search engine for Women’s Clothing and Accessories, I must admit I did find it quite interesting. Roposo.com is a social platform dedicated to women's fashion where we can search and discover products of our tastes from across the web. Hah.. my wishes came true now. At Roposo, there are many fashionistas who curate the things they love. They exhibit their style and give us ideas and choices to pick from, such that we can easily stay tuned to the latest trends. Sounds interesting, right? 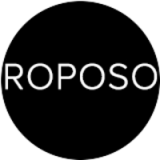 Roposo is a play on the word ‘Apropos’ which means relevant - and this name is so apt to this site, as we can search for clothing and accessories, quite relevant to our tastes, moods and styles. Roposo has teamed up with best fashion websites delivering in India like Limeroad, Jabong, Nineteen, Flipkart, Koovs, etc., and in this way the up-to-date women’s fashion can be found under one roof. As I said, its like a mall where our time and energy saved from the hassle of browsing through multiple sites. They have done detailed categorization which helps in fetching the products easily. One feature I am impressed with is ~ the color options they offer. Apart from many other interesing features that take a special mention, I found their List making feature as quite an entertaining one. In which we can add the items we like and form a customized list or also mix and match with the accessories and create a full ensemble. It works like a scrapbook for your favorite collection. As you all know, I love Scrapbooking, here too I am excited to create looks, when they invite me to do the same. But hey, not only we discover and like the products here, but if we want to buy, the site directly leads to the seller’s portal where we can place our order in less than no time. Here I display one of my favorite lists which I created at Roposo recently. One of the latest modish trends that surprised us on haute couture is the Striiped Style. The Stripes, one of the awesome style that we could wear, it can give us more than one look from the classic unique look to the funny casual one, with a little magic of mix and match. I list here few interesting Monochrome Striped Outfits and commonly accessorized it with a touch of Red. If you're interested in fashion, style and shopping, you are most welcome to follow me there. Visit my profile for more and interesting lists at Meera @ Roposo. Do visit Roposo.com. Also stay tuned for more exciting styles at their Twitter handle à Roposo Love. Meera..thanks for the detailed review of this website. ..I wasn't aware of it until I read about it here...will check this out. I guess it is an Indian version of Polyvore..mm. Sounds interesting!! Is the quality of product delivered by them good?